Italy-based Building Energy has signed power purchase agreements with the South African-state-owned utility Eskom Holdings to build, own and operate in the country a 147 MW wind plant in Roggeveld and a 4,7 MW mini hydroelectric plant in Free State. Building Energy is a multinational company operating as a global integrated independent power producer (IPP) in the renewable energy industry. Eskom Holdings generates, transports and distributes approximately 95 per cent of South Africa’s electricity. The overall investment in the construction of these two plants amounts to €324 million ($401.34 million), said a statement from the company. 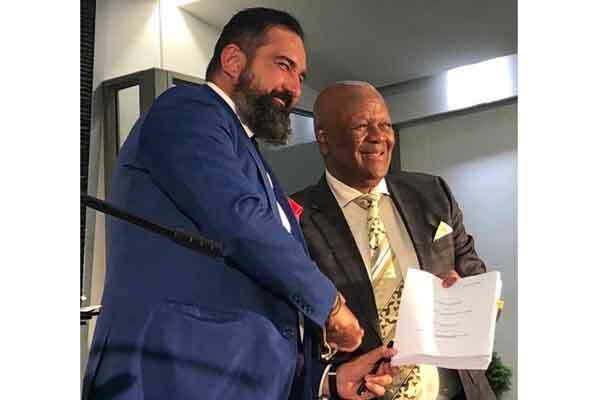 The agreements were signed by South African Energy Minister Jeff Radebe and Building Energy managing director Africa and Middle East Matteo Brambilla, earlier this month in Johannesburg. Building Energy had been awarded preferred bidder status under Round 4 of the South African Department of Energy Renewable Independent Power Producer Procurement (REIPPP) Programme for the wind and hydro projects in April 2015, it said. These agreements will be the official start for the construction of the wind farm in Roggeveld, in the Laingsburg area, straddling the border between the Northern and Western Cape Provinces and the small-hydroelectric plant in Kruisvallei, in the Free State Province, it added. The Roggeveld wind farm will generate around 613 GWh per year. The energy generated will satisfy the energy needs of roughly 49,200 households every year while avoiding the emission of about 502,900 tonnes of CO2 emissions, said a statement. Construction work is scheduled to begin in 2018 and the commercial operation date is foreseen to be in April 2021. More than 5,300 new jobs will be created during construction phase of the plant, with another 7,920 long-term jobs created during the operation phase. Instead Kruisvallei small-hydroelectric plant will generate around 28 GWh of energy annually, catering to the energy needs of more than 2,330 households. In addition to covering the community’s energy needs, the plant will save atmospheric emissions of more than 23,800 tonnes of CO2 per year, creating more than 714 jobs during construction phase, with another 720 long-term jobs created during the operation, it said. Previously, Building Energy had already been awarded an 81 MWp solar farm in Kathu, in the first Round of the REIPPP Programme, which has been operating since August 2014 and is one of the largest solar PV plants on the continent. From its Cape Town office, the company manages and coordinates over 40 projects that are operational or under development in Africa and the Middle East across the technologies of solar PV, wind and small-scale hydroelectric energy, including inter alia projects in South Africa, Uganda, Mali, Malawi, Cameroon, Tunisia, Botswana, Zambia and Cote D’Ivoire.